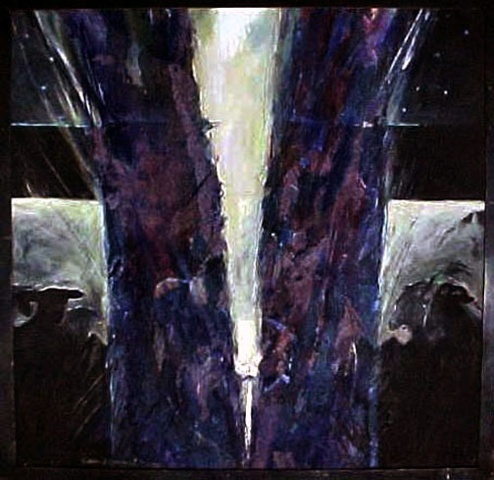 This painting is one of two that remain from the Asheville Art Museum Christmas Invitational in 1993. It references a difficult truth of Scripture...the exclusivity of the gospel. Jesus, the babe in the manger is at the center to the slashing V of light. "When the Son of man comes in all his glory, ...he will separate them one from another, as the shepherd separates the sheep from the goats."